A&E is great for content types like documentaries and reality TV shows. A&E is now one of the most watched American cable and satellite TV channel. But A&E has come a long way from its humble beginnings. In the beginning, A&E didn’t focus on everything under the sun when it came to high-quality premium content. Instead, the channel tried to go for some really serious (some would call it boring) stuff. As you can probably imagine, this isn’t what a typical TV watcher wants to consume. At least not on a regular basis anyway. As mentioned at the top, A&E has improved a lot from its early days. Now it has a much wider variety of premium content on its site. And it’s available for “everyone” to watch for a price. The scope of the programs that are broadcasted on A&E now include categories such as reality TV shows (sadly people still watch them) and some more differently-themed programs. It doesn’t take a genius to figure out that A&E is now trying to attract more young people when it comes to its audience. If you believe the stats that come out on a yearly basis, then it is estimated that about eighty-six percent of the households in the United States of America watch A&E TV. Since Ripley’s Believe It Or Not is still going strong it is no wonder that people are interested in shows that don’t offer a lot of value when it comes to their content. There are people who like sports as well. A lot of people consider that to be the ultimate waste of time as well. So, without any more judgments, it is true that A&E TV is popular. And perhaps that is the reason why it has introduced online streaming in order to attract more customers. A&E TV is still available as a cable and satellite TV channel. The online streaming program comes as an addition to an already impressive line-up of ways A&E TV wants to reach you. It is safe to say that A&E TV is trying to reach an even higher percentage of people via its online streaming program. 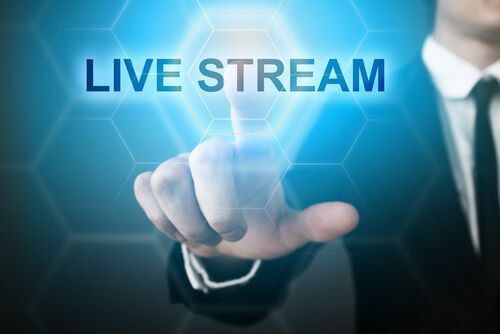 Moreover, the online streaming program has the same list of channels and content as A&E TV cable and satellite channels. By default, A&E TV online program is available to anyone who has a cable subscription from one of the A&E TV’s approved providers list. You can’t watch A&E TV if you don’t live in the United States of America. In other words, A&E TV is only for American people. So if you live outside the United States of America then you’re out of luck. You can’t watch A&E TV. Basically, you can’t watch anything that A&E TV broadcasts if you don’t live in the United States of America. So what are we doing here then? We are here to tell you that there is a way to watch A&E from outside the US provided you are willing to do a bit of work. Let’s start with reading this full guide okay? After you have read this guide, you will know everything there is to know on how to watch A&E TV outside the US. A&E TV is blocked in your region if your region is not within the United States of America. This streaming service is not available outside the US. There are a ton of ways in which you can watch A&E TV online even if you don’t live in the United States of America. However, we’re only going to talk about those which are the best. Both methods work equally well. Of course, both methods require that you have a will. You’re going to need to use this “will” to access all A&E TV content and watch it regardless of the fact that it is blocked in your region. AS mentioned before, you can use a VPN service to watch A&E TV outside the US. But you can also use Kodi. Both methods allow you to watch A&E TV outside the US and bypass all the geo-restrictions on its content. There are no limitations to the amount of content you can watch with a VPN service and Kodi. We’re going to assume here that since you’re reading this, you already have a device that can play media content. What we want you to do is install a VPN service on your favorite device. A VPN service is a complex piece of security service that allows users to stream content from any channel and from any place in the world. For our purpose, it is enough to say that a VPN service will allow you to watch all A&E TV content from outside the US, online. A VPN service does much more than just unlock A&E TV content. It makes you anonymous and keeps your identity safe. It also encrypts your online data so that hackers can’t get to it and ISPs can sell your data. With a VPN service, you can unlock all sorts of streaming websites and not just A&E TV online streaming program. With a VPN service, you will be able to watch all your favorite TV shows (we hope none of them are reality TV shows of course). And best of all, a VPN will protect you from everyone and anyone who wants to track your movements and record your online activity. So which VPN services should you sign up for? 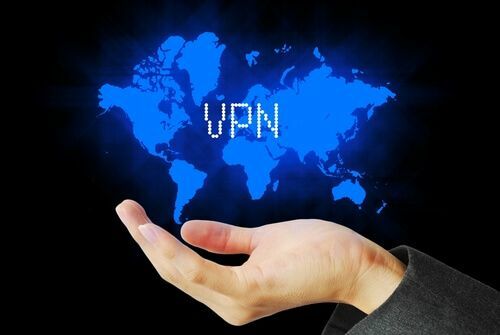 The VPN industry is flooded with VPN service providers and sometimes it becomes difficult for a person to figure out which one is the best for his/her needs and requirements. Because, at Security Gladiators, we regularly review VPN services from all corners of the globe. If there is a VPN service out there in the market, chances are that we have tested it and reviewed it. In other words, we know a lot of VPN services. We also know how some players just try to scam you in the name of VPN services. You need someone to guide you to the best VPN service for your needs. Since right now, your need is to watch A&E TV outside the US without leaving the comfort of your home, there is only one VPN service that is best suited for that purpose. IPVanish is the VPN service that we recommend if you want to watch A&E front outside the US. This VPN service will allow you to access blocked A&E TV content and will also protect you from cyber threats. No online surveillance agency will be able to track you and monitor your movements. A VPN service like IPVanish is great because it does two things very well. One, it encrypts your data and hence no one can tell what it is because it is scrambled. Second, a VPN service like IPVanish passes this encrypted data through one of its own VPN tunnels before it releases your data into the wild world of the internet. Only after that, your data gets to go to its final destination. And since it gets released into the wider internet not from your computer but from IPVanish VPN server, no one knows who you are. To put it another way, when you connect to the internet via a VPN service, you hide your IP address. And hence websites can’t know where you’re from. Sites like A&E TV can’t block you because they don’t know if you live or don’t live in the United States of America. A VPN service will allow you to change your IP address to any country you want to. This will allow you to unlock any streaming website in the world. How does a VPN service like IPVanish do that? It hides your original IP address and changes it with one of its own VPN server’s IP address. Remember when we told you that IPVanish does not release your data to the wider internet before it reroutes it through one of its own VPN servers? That’s what we were talking about. To sign up for IPVanish right now via the official website click here. How To Watch A&E TV Online Streaming Program Outside The US? There are plenty of ways to watch the content you want to watch. Live streaming is the best. As we have told you before, A&E TV is not available to users who do not reside in the United States of America. It doesn’t matter if you are a US citizen or not. If at the time of connecting to A&E TV streaming program, you are not in the US then you can’t watch content via A&E TV. Of course, this isn’t really fair. What does living in the US have to do with watching high-quality content provided you have paid the money for it? Because if you don’t live in the US, you are basically ineligible for A&E TV online streaming. You can’t even sign up. Why does A&E TV not allow people who are not in the US to avail its online streaming program? Surely it wants to have more customers from more countries right? There are things called licensing and broadcasting rights. These issues are very complex. To avoid having to deal with them, A&E TV doesn’t allow people outside the US to avail its streaming service. Most of the content on A&E TV is geo-restricted. The company has also set other limitations on who can watch its online content. And it does that so that its content is not broadcasted outside the US. Otherwise, A&E TV will run into big legal troubles. But you want to unlock A&E TV content right? And you want to do it without moving to the US or a US IP address right? You can’t do that because A&E TV is only for US viewers. It is exclusive to American people. It is frustrating, we know. And that’s why you need to use a VPN service to get rid of this source of frustration of yours. How To Access Premium Content on A&E TV Via Online Streaming? Let’s play a one-minute game first. What is the first word that comes to your mind when you hear the word “Premium”? But we’re looking for the word “money”. In other words, premium content costs money. You don’t have to pay a dime in order to access all the premium content on A&E TV online streaming program. All you need to do is provide A&E TV online streaming program with your TV service provider credentials. Credentials like your username and passwords. With these credentials in place, you can watch full episodes of all the TV shows that you like and hat too in HD. But what about those users who don’t have their TV service provider’s name on the list of supported TV service providers? Well, it doesn’t really matter. Because you can still watch some of the premium content on A&E TV online streaming. But make sure you go through the list of TV service providers on the official A&E TV website before you try something else. As mentioned before, there are some TV episodes that you can watch for free regardless of your TV providers. While there are some episodes that require you to input your TV provider’s name. And that TV provider must be on the list of TV service providers put up by A&E TV on its official website. You can go to the official A&E TV website right now and check if your TV service provider is on the list. Truth be told, the list of TV service providers is insanely long. There is a huge change that your TV service provider is on the list. So head over to the official website right now and check out the full list. Remember, that if your TV service provider is one the list then you watch all the available content on A&E TV without incurring any additional cost. A VPN service is a perfect tool to unblock websites. Here is where A&E TV shines way above the average streaming service. Fans can enjoy all the available content on A&E TV even when they are traveling. And that’s where fans of A&E TV content, even if they are US citizens, can enjoy their content while outside the US. A&E TV has a dedicated iPhone app that provides users with mobility and flexibility that is unmatched by the average streaming website. In short, A&E TV provides more than enough ways for its fans to enjoy an unlimited amount of content on their favorite device from anyplace in the world and at any time in the world. The iPhone App works with all devices that run iOS operating service. So people with Apple devices now have an A&E TV app that is specially designed for their device. With that said, the problem remains the same. You can watch content via the iPhone app anytime and any place, AS LONG AS you are in the US. Here too you will need the services of a VPN provider. With a VPN service, you can easily change your IP address to a US one and enjoy the A&E TV iPhone App. The iPhone App also has an on-demand feature. It is great for Catch Up TV if you missed out an episode of a show because of scheduling reasons. A VPN service will allow you to watch all the entertainment that is available on A&E TV platform via iOS devices even when you are outside the US. The same holds true for the Android App. The Android A&E TV app is free to download. Users don’t have to pay a single dime to stream content from the A&E TV Android app. As long as you are in the United States of America, you can use the A&E TV Android app to stream content. But of course, you want to access A&E TV content via the Android app outside the US. Again, a VPN service is your best friend in this case. With a VPN service, everything on the A&E TV network will become available to you. It doesn’t matter which shows you want to watch. If there is a show that is available on the A&E TV streaming platform then you can watch with without any problems. The A&E TV online streaming platform is a versatile one because of a lot of reasons. One of those reasons is its compatibility. It does need Flash 10.2 or higher to stream videos to users. You can download the A&E TV Android app from the Google Play Store website. You may think you have watched everything there is to watch. But of course, that is not true. If you don’t believe us then all you have to do is log in to A&E TV online streaming website and check out the content there. A&E TV has one of the most diverse variety of shows on the planet. Most of the content is focused on themes such as documentaries and reality TV. Sometimes it’s okay to move away from the mainstream TV shows, just to get a new perspective on things. WahlBurgers. It is a reality TV series and has garnered recommendations from trusted sources. Of course, the quality of the show is top notch. Nope. It is not about Donald Duck or even DuckTales. It has nothing to do with cartoons. Basically, you have a bunch of people who live and die for the duck hunting season. There is more to the show than meets the eye though. It is also a reality TV show but has a lot of audience. This one isn’t a reality TV show. It is, thankfully, a dram services. It is based on Craig Johnson’s best-selling mystery novels. So if you dig that stuff then you should definitely check this TV series out. Nothing to do with Star Wars. We told you that A&E TV has some really unique content library. It is another reality TV series. The first episode of the show aired in the year 2010 and it is still going on. There are a ton of other shows that you can watch. You don’t need to watch the four shows discussed above because A&E TV has a huge content library. In other words, there is something for everybody when it comes to A&E TV online streaming program. A good VPN service in our case will be a VPN service that has multiple VPN servers in the United States of America. Don’t go for free VPN services because normally they don’t work and when they do they store your data and then sell it. Moreover, free VPN services are known to infect your computer with malicious software programs. The VPN service we recommend for this job is IPVanish. It is a fast and reliable VPN service. To sign up for IPVanish visit its official website by clicking here. After that, create your VPN account on the official website. Now watch A&E TV along with the History Channel and the rest to your heart’s content. Kodi provides another way to watch A&E TV outside the US. The best thing about using Kodi to watch A&E TV content is that you don’t have to go through the trouble of going to an online website. You can just install Kodi on any of your devices and then stream away. Here is how you can use Kodi to watch A&E TV outside the US without any troubles. Kodi works via Kodi add-ons. They add-ons can stream any content you like from streams set up by clever add-on developers. You don’t need to know the details about how the streams come into existence. What you do need to know is that with Kodi you can not only watch A&E TV content but also any other content from any other TV channel Live. All you need is Kodi. To watch A&E TV content and beyond on Kodi you will need to install CCloud TV add-on. This Kodi add-on has over 100 live TV channels. So if there is a TV show out there then there is a great chance you’ll find it among these 1000 channels. So here is the step-by-step guide. We’re going to assume now that you have installed Kodi on your favorite device. If you haven’t then go read this guide or go to the official website and download Kodi for your preferred device. First, you will need to install the Fusion repository. To do that open up Kodi on your computer machine. Then from the main Menu click the System tab. Then from the resulting menu, you should select File Manager. This step will take you to another menu. Here you will have two columns. When you finish the previous step, you should be able to see another menu which has three or four options. When it has finished, you should see the status of cCloud TV change to enabled. Click on it and search for the “*search*” option from the list. And that is it. Congratulations. Now you can watch A&E TV along with a lot of other content for free using Kodi. Now we’ll discuss another very important point. That point is you should always use a VPN service with Kodi. Head on over to the next section. 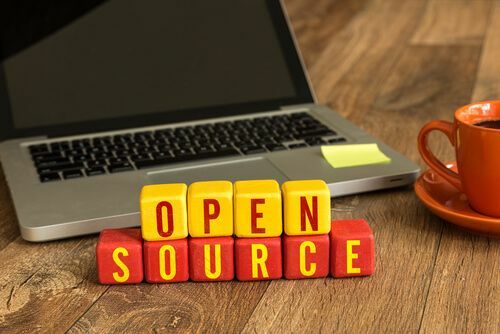 Kodi is open source. This means everything is transparent right? Using Kodi can be legal or illegal depending on how you use it. 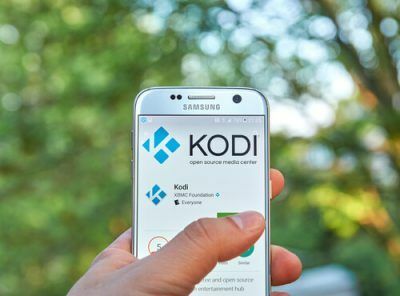 Since the laws are murky in the online world and there is no ONE regulator, there is no way to tell if using and streaming Kodi in your region is legal or not. But it is always better to be safe than sorry and hence you should use a VPN service to hide yourself while using Kodi. A VPN service has several other advantages as well. A good VPN service will unlock all streaming websites and not just Kodi. Moreover, it will also encrypt your data and hence no ISP or government agency will be able to know what you are doing on the internet. IPVanish is the best VPN service if you want to hide your identity while using Kodi. Can change your IP address to whichever country you want to.